It has been six months since I first purchased this product and in that time I have already gone through two miniature pots and have started on a large one. I first bought the self-preserving version, but to my dismay it left a sticky residue on my skin which took a considerable amount of toner to remove. I emailed LUSH about the problem and they replied to me within the hour, apologising for my issue with the self-preserving formula and promising to send me a pot of the original Ocean Salt, free of charge. I was absolutely delighted with this, LUSH's customer care really is one of the best I have ever experienced. The new tub pot arrived within the week and they had even thrown in a complimentary bath bomb! I loved the scrub as soon as I tried it, especially the fresh, citrusy smell which I assume to be the limes. The vodka leaves a really clean, tingly feeling behind on skin which I absolutely adore. Because of this, I do tend to over-exfoliate quite often, leaving my skin red, but it's nothing a good lashing of moisturiser doesn't fix. I especially love using this product around my nose and chin areas as they tend to be a little flaky. This polishes the skin and leaves it very soft, smooth and clean, ready for makeup to be applied, preventing my foundation from looking cakey. I only ever use this product in the mornings - I used to use it at night as well but in the end my skin couldn't take all the scrubbing. I find it wakes me up in the morning with its fresh feeling and prepares me for the day ahead. I use it by first wetting my face, then scooping out a small amount with my fingers and massaging it in small circles across my face. I then splash my face with cold water to remove it all then apply moisturiser straight after. I would definitely recommend this product for anyone with combination skin like mine. I know a lot of people with sensitive skin have had problems with this product being too harsh, so it may not be suitable for everyone, but it suits me just fine. 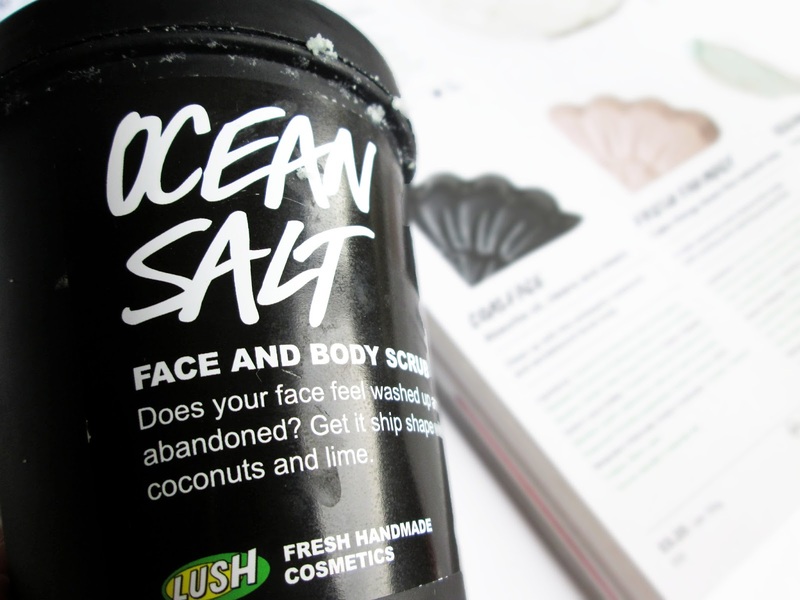 Have you tried this scrub yet? Great post I recently purchased this too and I think it is amazing. I LOVE OCEAN SALT! Defintiely one of my favorites! Awesome post! Nice template also! ;) Looks very familiar!!! I need to purchase a new body scrub soon and might have to get this one! Sounds really good :) glad the customer service was really good too - makes all the difference.